A few weeks ago we were spending time with Mike's family. 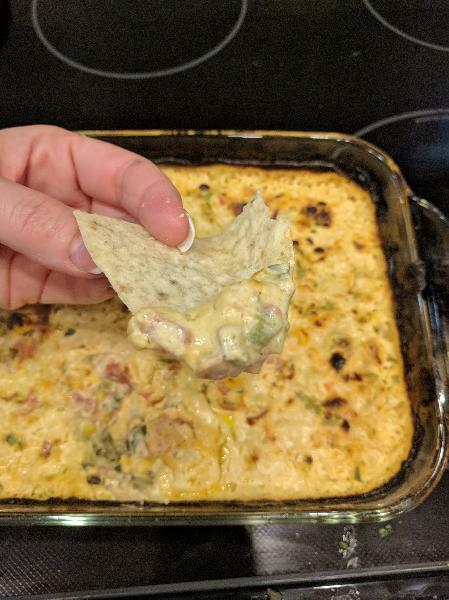 His Uncle made this amazing dip and we had to get his recipe. This dip goes great with tortilla chips. 2. Mix all of the ingredients in a bowl. 3. 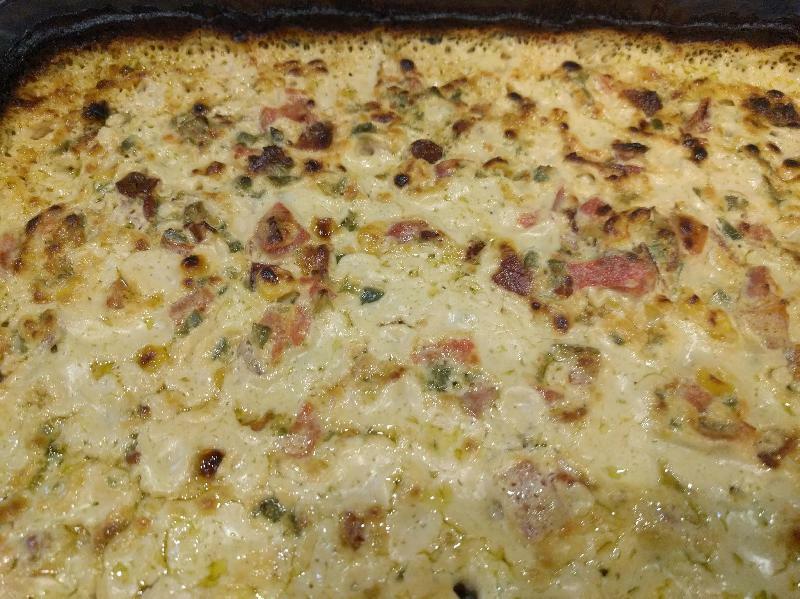 Put the dip into a casserole dish and bake for 20 minutes.